Thanks. It still needs to prove itself capable of providing a decent VOLUME of those beauties. Absolutely beautiful rose Paul. Do you use Tradescant a lot in breeding. I used to use it about eight years ago and then quit once I got a decent seed bearing seedling from it ("Penny-Trad"), which I use quite a bit. However, I am returning to Tradescant itself for more of it's properties, including a more horizontal, branched architecture and dark color. It Rusts here quite easily, but I don't see that in it's offspring. I have one remaining seedling of yours that has Pennytrad as a parent. I hope that it blooms this spring with a beautiful blossom. 121-06-14 looks like a winner to me! wow. 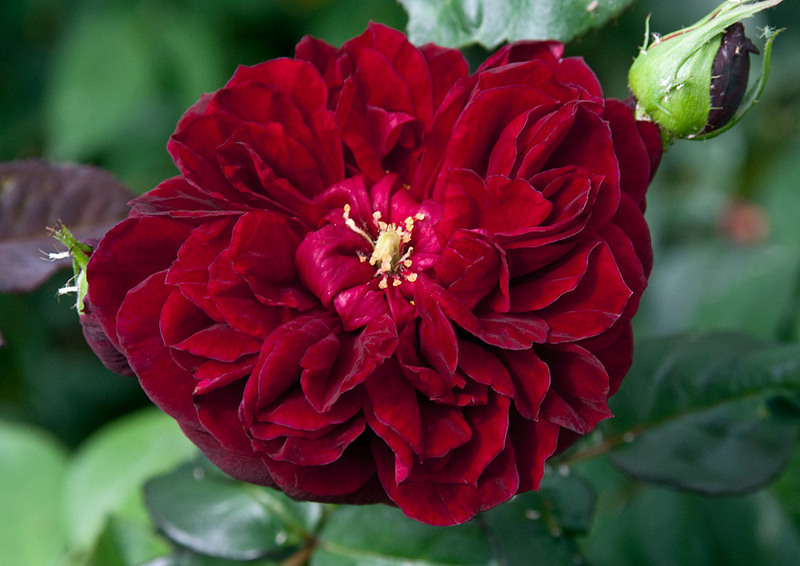 Crimson roses are becoming a favourite, have you had a chance to use Mustead Wood=DA for breeding. I have seen it and the blooms are huge, and alot like WShakespeare 2000. But recurrent according to my friend.